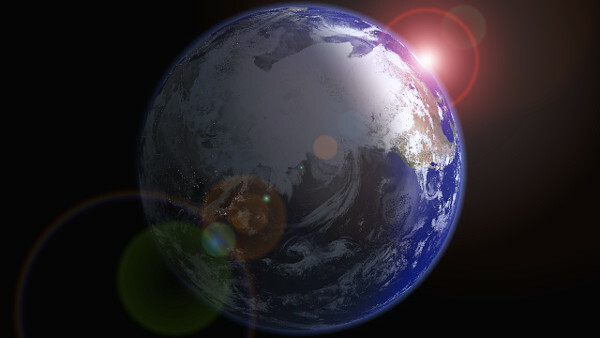 Alice A. Bailey (AAB) and Djwhal Khul (DK) writing on planetary evil imply that evil is a necessary part of Creation as Spirit is projected into matter. They also distinguish between planetary evil and cosmic evil. Below are some quotes from the writings of AAB and DK on the subject of evil, particularly planetary evil. First. It should be remembered that the whole subject of planetary evil (and students must distinguish carefully between planetary and cosmic evil) lies hid in the individual life cycles and in the history of the Great Being who is the planetary Logos of the Earth. Therefore, until a man has taken certain initiations and thus achieved a measure of planetary consciousness, it is useless for him to speculate upon that record. H. P. B. has touched, in the Secret Doctrine [S. D., III, 62; Section 6, page 67] , upon the subject of “the imperfect Gods,” and in these words lies the key to planetary evil. Planetary evil arises from certain relations existing between our planetary Logos and another planetary Logos. When this condition of polar opposition is adjusted, then planetary evil will cease. The adjustment will be brought about through the mediation (occultly understood) of a third planetary Logos. These three will eventually form an equilateral triangle, and then planetary evil will cease. Free circulation will ensue; planetary obscuration will become possible, and the “imperfect Gods” will have achieved a relative perfection. Thus will the karma of the manvantara, or secondary cycle, be adjusted, and so much planetary karmic evil be “worked off.” All the above must be interpreted in its esoteric sense and not its exoteric. The task ahead of humanity is to close the door upon this worst and yet secondary evil and shut it in its own place. There is enough for humanity to do in transmuting planetary evil without undertaking to battle with that which the Masters Themselves can only keep at bay, but cannot conquer. The handling of this type of evil and its dissipation, and therefore the release of our planet from its danger, is the destined task of Those Who work and live in “the centre where the Will of God is known,” at Shamballa; it is not the task of the Hierarchy or of humanity. Remember this, but remember also that what man has loosed he can aid to imprison; this he can do by fostering right human relations, by spreading the news of the approach of the spiritual Hierarchy, and by preparing for the reappearance of the Christ. Forget not also, the Christ is a Member of the Great Council at Shamballa and brings the highest spiritual energy with Him. Humanity can also cease treading the path to the “door where evil dwells” and can remove itself and seek the Path which leads to light and to the Door of Initiation. The Crucifixion and the tomb experience lead eventually to resurrection and to life. The destruction is appalling, but it is only the destruction of the form side of manifestation in this particular cycle, and (a point which I would beg you not to forget) it is the destruction of much planetary evil, focussed for aeons in humanity as a whole and brought to the surface and precipitated into violent activity by a group of evil men whose destiny it was. This destiny was the result of their own deliberate choice, and of prolonged cycles of purely material selfishness. It is also the first touch of the radiance of Shamballa which is bringing the universal revelation of evil, a radiance which is now producing the world unrest and which has brought about the lining up of good and evil; this touch of radiance is the conditioning factor behind what is called post-war planning and the ideas of reconstruction and of world rebuilding which are dominating the best human thinking at this time. It should be carefully borne in mind that evil (cosmic evil or the source of planetary evil) is much closer to Shamballa than it is to Humanity. The Great Lives there move entirely free from glamour; Their vision is one of extreme simplicity; They are concerned only with the great and simple duality of spirit and matter, and not with the many forms which the fusion of these two brings into being. As the destroying aspect of the Will of God nears the accomplishing of divine purpose, the will-to-good can emerge with clarity and dominate human affairs. Out of the immensity of planetary evil, demonstrated through the destructive war of the past few years (1914-1945), great and permanent good can come; the spiritual Hierarchy stands ready to evoke the good latent behind the work of destruction which has been done, but this can be so only if the goodwill of humanity itself is employed with adequate invocative power. If this goodwill finds expression, two things can occur: first, certain potencies and forces can be released upon the earth which will aid men’s effort to attain right human relations, with its resultant effect—peace; secondly, the forces of evil will be so potently defeated that never again will they be able to wreak such universal destruction upon earth. You are welcome to post your comments on planetary evil.